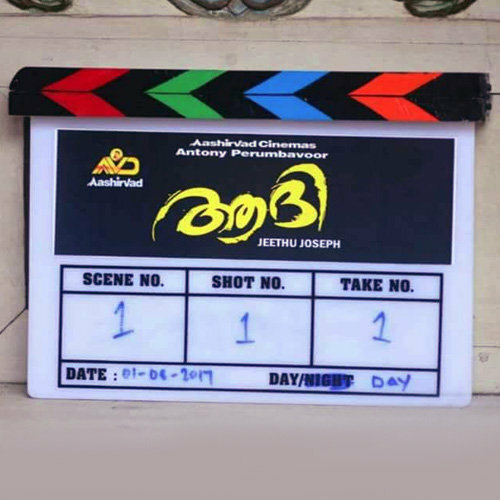 Pranav Mohanlal starrer Aadhi, helmed by Jeethu Joseph has commenced its shooting in full vigour. The movie is believed to be a thriller packed with a lot of high powered action sequences along with other elements that will positively keep its audience entertained. A few on-set pictures of Pranav posing with guitar reveals the actor's charming look from a song sequence. Pranav had to undergo a lot of physical training like parkour as part of the preparation for this film. Aadhi is being produced by Antony Perumbavoor under his home production banner Aashirvad Cinemas and features other actors like Anusree, Aditi Ravi Lena, Siddique, Sharafudheen and Siju Wilson.